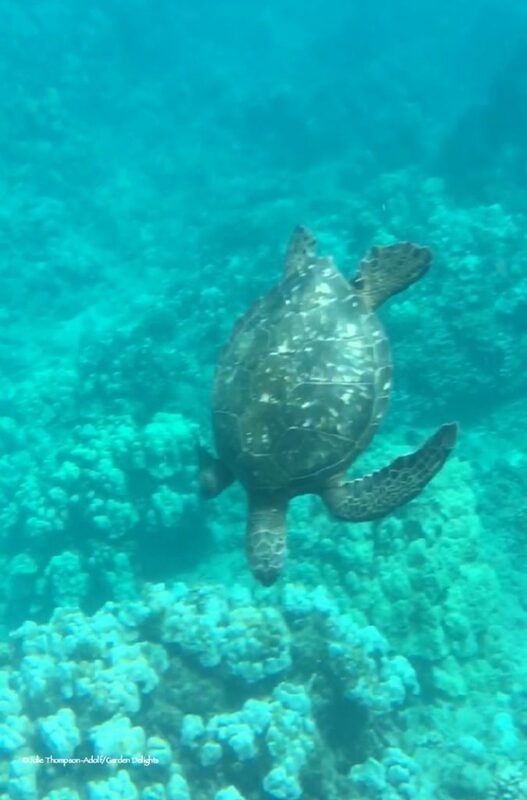 I recently spent a week at Ka’anapali Beach in Maui on a press trip. I know, tough gig. However, I assure you plenty of work was done between Mai-Tais and shave ices. For one, I either visited (with friends staying at) or stayed at all four (!) SPG properties on Ka’anapali beach in Maui. If you’re trying to choose a SPG hotel on Maui by looking at Starwood’s website they look very similar. To make things even more confusing, they are all Starwood Category 6 and are within two miles of each other! However, there are definite differences between the four properties. I thought it would be helpful to compare them and help you figure out what’s best for you. 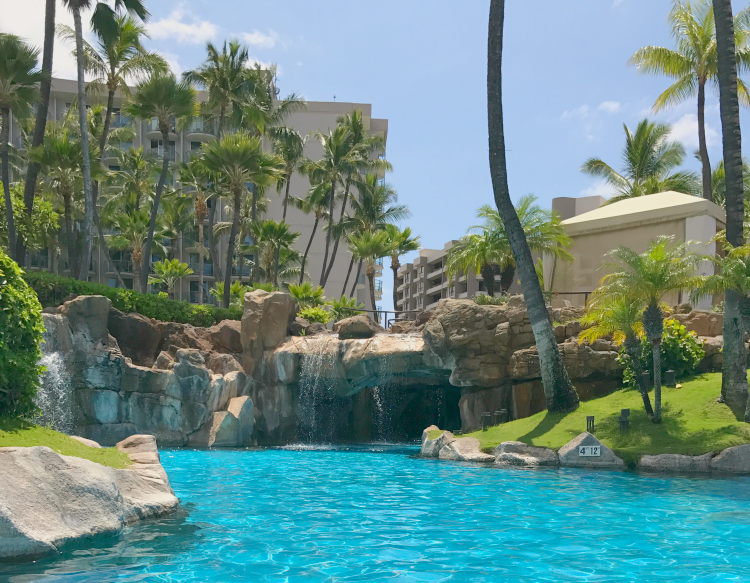 The first post compared the villas: Westin Kaanapali vs. Westin Nanea. 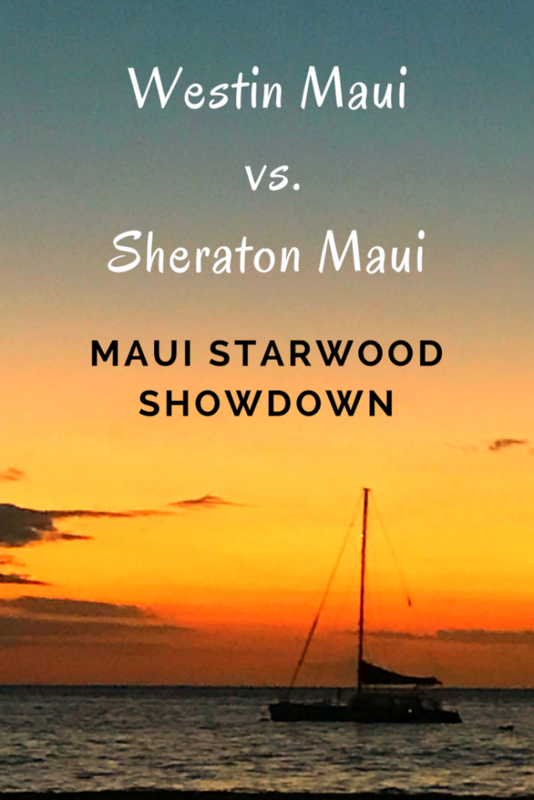 This post will compare Westin Maui vs Sheraton Maui. You may have noticed that I didn’t call this post “The Best Starwood Hotel on Maui”. “For you” is the most important part of the equation. So I’m going to lay out the strengths and weaknesses of each and let you decide. Rooms are pretty standard- mine was on the small side even as an upgraded superior ocean view category. The king bed took up most of the room. You definitely couldn’t have fit a rollaway in the room and even a crib might be in the way. My room also had a shower but not a bathtub- if you need a bathtub make sure you’re booking into a room category that has one. They do have rooms with two doubles, but I think even a family of four would feel tight in one room in this category. I wouldn’t put a family in less than a higher category deluxe or luxury ocean view. I wouldn’t expect to be upgraded into those categories even as a platinum- you’ll have to book it. That said, as a platinum you’ll probably get at least an ocean view. All resorts on Ka’anapali feature direct sandy beach access. Starwood platinum benefits include a generously stocked breakfast buffet with oceanfront seating. If breakfast is a priority for you, this benefit might tip the scales between the two hotels. Another platinum benefit isn’t well promoted but I used it often: access to the spa lounge. I utilized the spa lounge as a quiet air conditioned yet oceanview space when my hotel room got claustrophobic but I didn’t want to be “in public”. There’s only tea so it’s defintely not a full club experience, but then again I’ve never seen lounge chairs in a club, either. 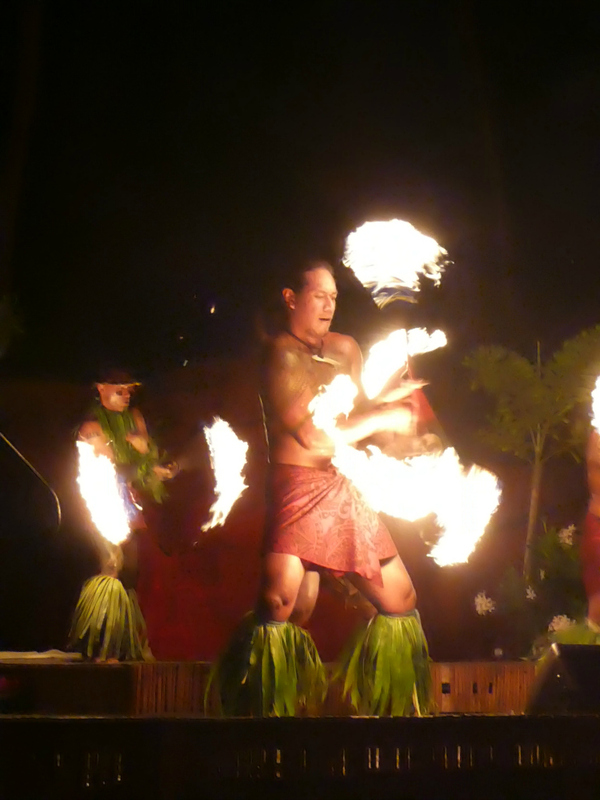 A highlight of the Westin is the Wailele Luau. Hula? Check. Fire Dancers? Check. Add in a buffet I’d return to eat and you’ve got a winner. The MC brought just the right touch of humor and pacing to the jam-packed proceedings. The Wailele is friendly for all ages: I especially appreciate that ages five and under are free. My friend and fellow Traveling Mom Cindy Richards spent three nights at the Sheraton. I’ll start with her impressions and add my own at the bottom. Sunset from the Sheraton Maui. I took this photo in 2017 but the scene would have looked the same 400 years ago. I like the Sheraton even more than Cindy did. That said, I didn’t actually stay there, but I saw most of the property including the rooms. Even base level rooms at the Sheraton are larger than the Westin. I’m also a fan of the vintage Hawaii vibe: the Sheraton feels freshly updated, but in some ways it also feels very “Blue Hawaii”. With eleven room categories I think chances are better here for an status upgrade than at the Westin. The ‘Ohana (family) rooms equal the size of a studio at the Westin Ka’anapali Ocean Resort Villas. The Sheraton also features a club. This may tip the scales for folks who have club access via credit card but are not Starwood platinums. Which would I choose? Westin Maui vs Sheraton Maui, I’d choose the Sheraton. I want to feel like I’m in Hawaii when I’m in Hawaii. The Westin felt a little too generic for my taste. Between all four Starwood properties? Tossup between the Ka’anapali Villas and the Sheraton. If I didn’t want to bother with a car, I’d choose the Sheraton because you can walk to most of Ka’anapali’s attractions. If I had a car? I’d choose Ka’anaapli Villas because I prefer the ability to self-cater. 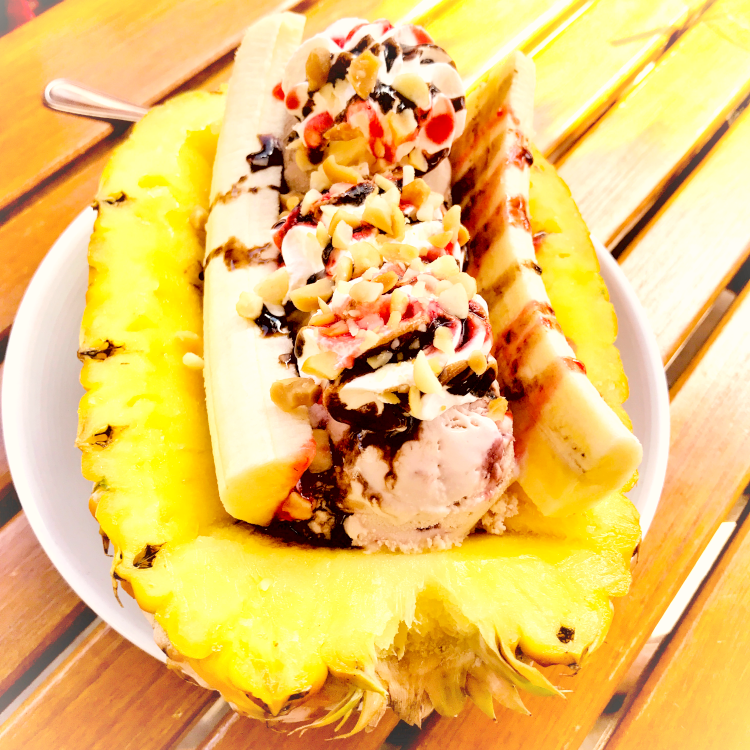 No matter where I stayed, I’d be sure to drop into the Westin for a banana split. 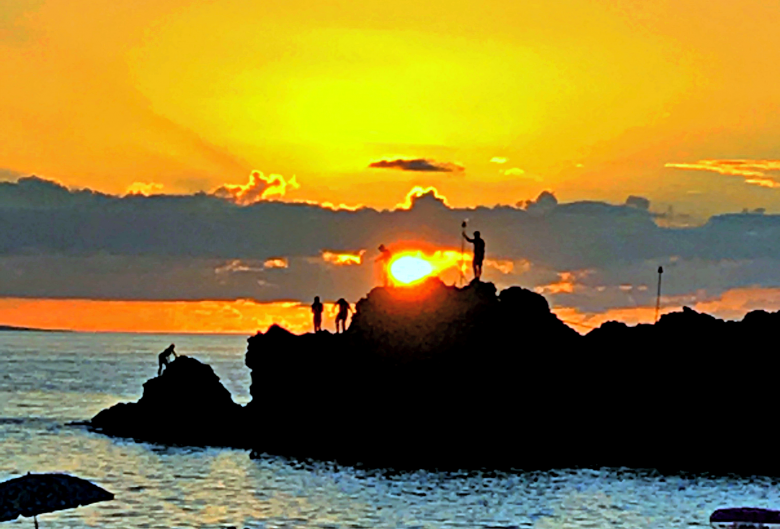 Now I’ll throw it out to you: where have you stayed on Maui and which would you recommend? I’d love to hear your thoughts in the comments. We stayed at Sheraton Maui when we went. We made the reservation almost a year in advance but a check in we were out in an accessible room that had an awful balcony and the bathroom had no vanity, just a utility sink so for a week stay no where to put toiletries. We complained and they were able to upgrade us the following night to a regular room with a partial beach view and a nice bathroom. We were pretty disappointed that they skimped on the basic necessities like a nice vanity just because it was an accessible room. The rest of the property was gorgeous. The beach was great. The food was pricey, but Hawaii. We discovered upon reading reviews that if you spend quite a lot and charge it to the room on the first night watch out for the ridiculous amount of incidental hold they will tack onto your credit card the next night(some formula of whatever you spend the first night x’s the number of nights) we k ew this ahead of time and did not charge anything to our room our first night. Overall though we loved it! Next time we go we want to stay in upcountry. Thanks for sharing, Hollie. I’m wondering if it was a space issue with the ADA room- I know they need to have a wheelchair radius and I’ve seen some strange ways older hotels have retrofitted to accommodate it. I’m glad it was only one night. Good intel to know about the CC hold!